We build custom Öhlins shocks daily. Delivery is usually 21 days, but spring sets can sometimes cause a little longer build. Below are just a few of the sets I had time to photograph. The yellow springs in the photos above are all same color, photos vary for some reason. I am not sure any are exactly correct, but the color is Öhlins yellow. Using only the best parts that Sweden can supply, these Öhlins shocks are built in our West Virginia, USA facility. Each piece is reinspected and the components are expertly assembled in our clean room shop. We are the only shop trained to scratch assemble Öhlins sets to factory specs. 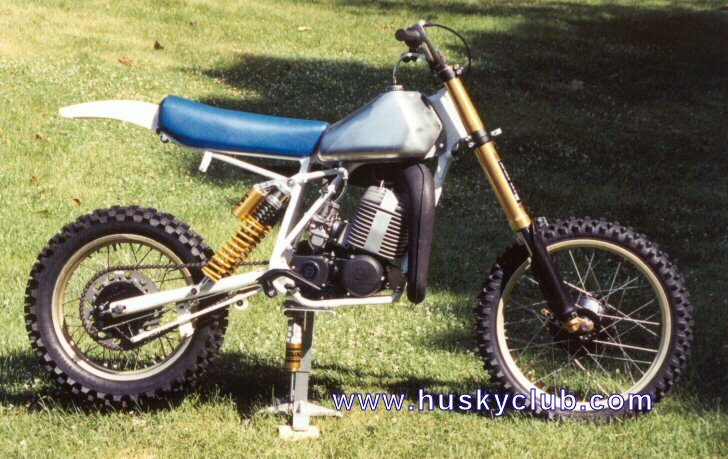 Our specialty is old dirt bikes using twin shocks. 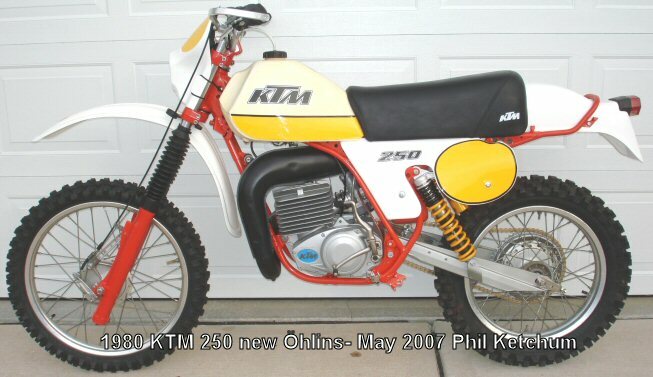 As time progresses 1981 thru 1991 also become old dirt bikes. We are currently building single shock rear systems for some popular makes, but at this time it will take a longer time to build as we convert these recently old specs to modern off the shelf Öhlins components. Single shocks systems are fully modern with compression and rebound clickers to modern competiton specs. 2005 - The classic web heads (as shown in many above) are no longer available, so all the new builds will be with more current technology I beam style heads. The new heads offer a better porting for even smoother response under motocross conditions. Larger less restrictive porting enhances the whole shock system. The price has gone up slightly, as all else in the world has too! $960 pair complete for all others. shipping worldwide is just over our cost. nothing to add, it is all included with build. Certainly you could consider other brand twin shock solutions and many of them may be a cheaper initial cost. My advice is-you don't have time to waste on other substandard suspensions. Purchase an Öhlins system that is specifically for you and enjoy the ride. 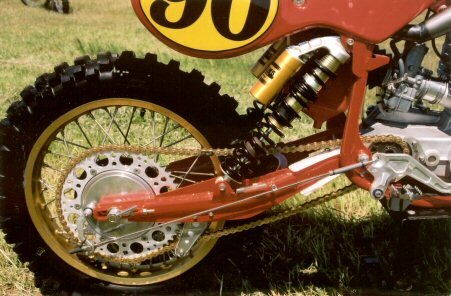 An Öhlins suspension allows you to go much faster and with more confidence. 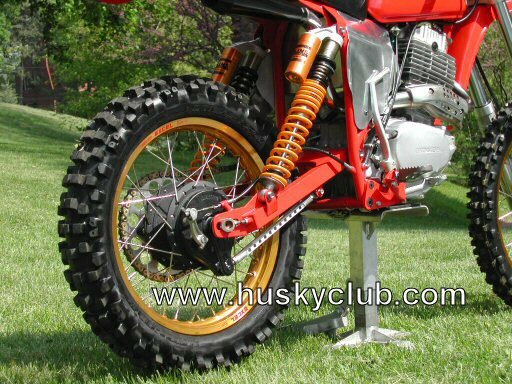 Öhlins is the standard all other are judged against. 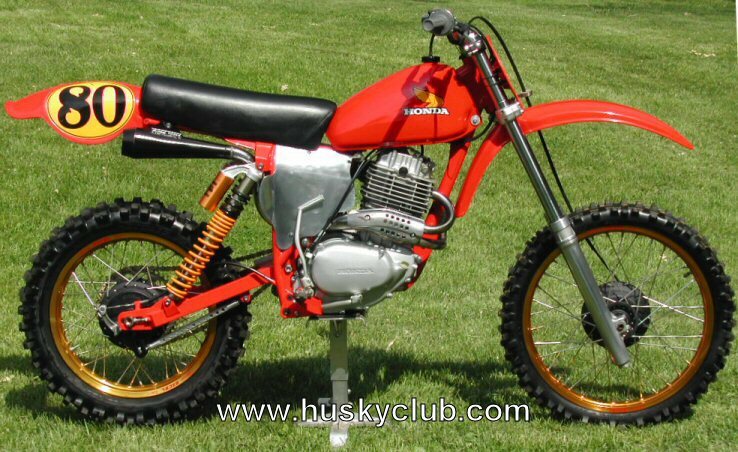 We build for - Husqvarna, Honda, Yamaha twin, Suzuki, Kawasaki, KTM, Maico, Can-Am, Penton, Bultaco, Aprilla, Beta, BSA, BMW, Carabela, CZ, Cagiva, Gilera, Montesa, Triumph, Ossa, Yamaha and of course all others. 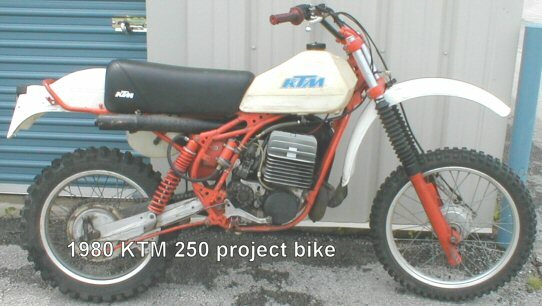 We have the most extensive records of all period builds from 1976 thru 1990 - factory rider specs, production specs, specific factory riders on specific bikes at specific tracks builds. All of this is to allow for the best design Öhlins for you and your bikes. 1990's and 2000's Volvo, Mazda, SOQI systems and other automotive street/track/trail/icerace suspension systems rebuilt, revalved. Volvo V70R AWD rear set rebuilt, new special swivel hose set, customer to install reservoir decals after installation. A couple of key points to remember about shock systems - just getting the eye to eye dimension to match your needs is most likely not going to do the job for you. The stroke of the shock is just as important to get the full performance from your bike, the piston and shim stacks need to be tuned to your chassis dimensions, your rider weight and your type of events. 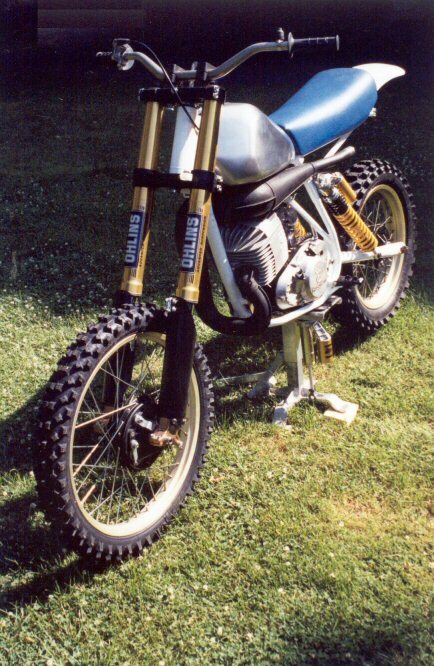 83-84 Ohlins ITC - $680 (when in stock) - new springs, new valving, reservoirs, totally rebuilt, repainted ITC blue, gold anodized reservoirs, different springs available for lighter rider, now set for 200-240lb rider.